Version: Multi Color & Pastels with the majority of the dark colors being reds. The quilt in the first photo has old and discontinued fabrics. As the fabric collections change, some are discontinued, the kit will have new and beautiful substitutes. 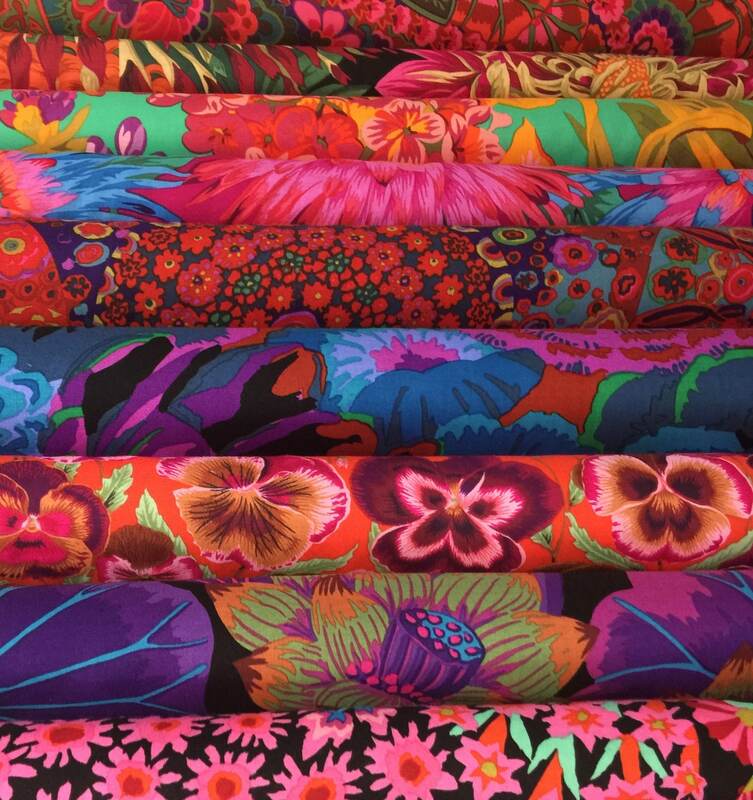 The final look will be as close to the photo as it can be and all the fabrics are by Kaffe Fassett Collective. If you have a particular color palette you would like to be more prominent, please message me and I will be happy to customize the kit to your particular taste. 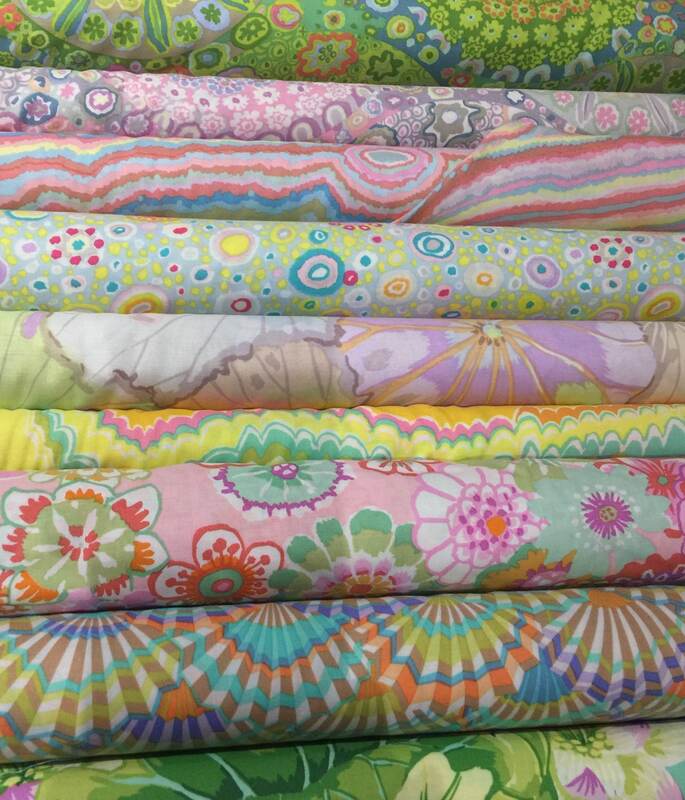 Purchase 2 or more kits and I can send you the fabrics as 1/3 yards instead of two kits with fat sixths cuts. Please make it clear in your order (use comment field) if this is what you would like or ask me to set up a Custom Order. If you can sew an accurate 1/4" seam, are confident about rotary cutting and can follow easy instructions, this quilt will go together very easily for you. All the fabric needed to complete this lap size quilt top measuring 54" x 54"
Fat Sixths = 12" x half WOF 21/22"
Backing fabric: NOT included - 3 1/3 yards are needed for the backing. If you would like to order that at the same time, please message me. 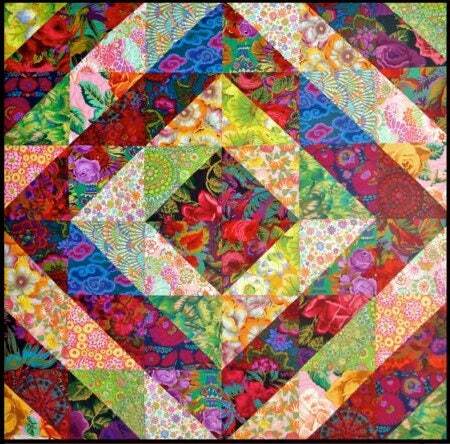 A very good beginner level quilt, but even advanced quilters make this because of the stunning colors, the fabrics and the effect it gives. This is a fast quilt to make. I WILL COMBINE SHIPPING FOR MORE THAN ONE ITEM IF YOU MESSAGE ME BEFORE PAYING. 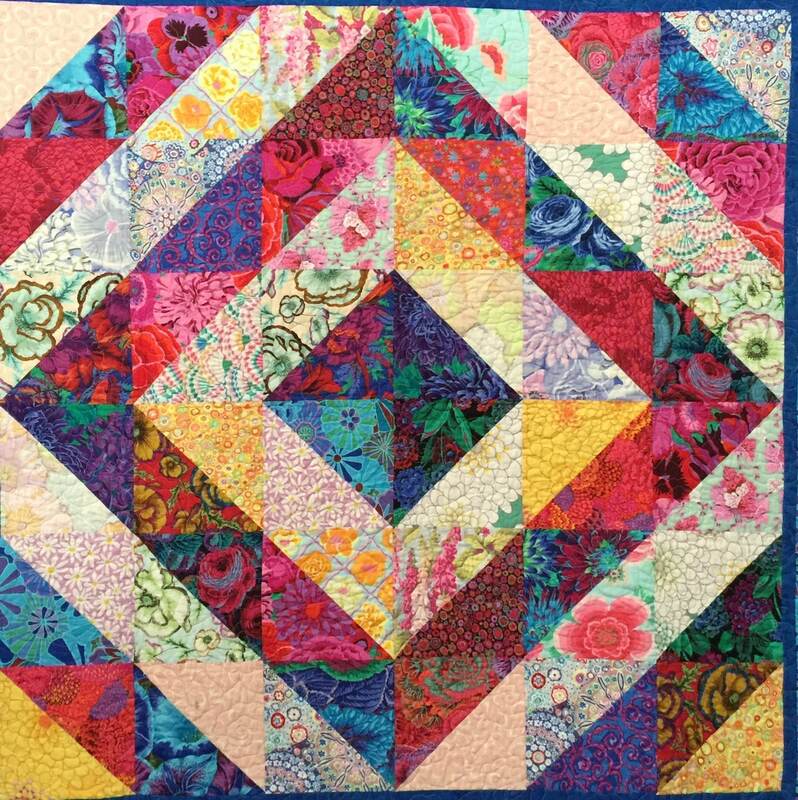 ** You can easily make this quilt bigger by adding more Half Square Triangle blocks and add rows around the quilt center. If you decide you want to make it bigger, you can message me and I can add more fabric and set up a reserved listing for you. All fabrics are kept in a well air-conditioned and smoke free environment. If you purchase several half yard units, you will receive it all in one continuous piece. If you order several yards/items please contact me for actual shipping cost. I can adjust accordingly and set up a reserved listing for you. I WILL BE VERY HAPPY TO COMBINE SHIPPING FOR SEVERAL ITEMS FROM MY STORE. IT IS ADVISABLE TO CONTACT ME PRIOR TO PAYING FOR THE ITEMS IN ORDER FOR ME TO COMBINE THE SHIPPING CHARGES AND SAVE YOU MONEY. I'm trying out the new Ebay Global Shipping Program which will calculate the shipping for you when you click on the shipping details and/or you place the item in your basket and check out. It even calculates and estimated import charge when you import an item from abroad. Pretty neat, so check it out.